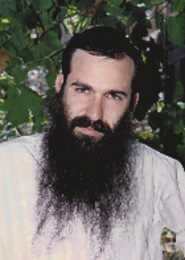 Yonadav Kaploun was born in Melbourne, Australia in 1963 to a family of Habad Hassidim. He arrived in Israel in 1970, was educated at the Merkaz Harav Kook Yeshiva and at Kfar Habad. He teaches Bible, Kabbala, and Hassidism, and is a literary editor and critic. He also leads writing workshops. Kaploun began publishing poetry in 1982 and has received several prizes, including the Prime minister's Prize twice (1996; 2014) and the Ministry of Culture Prize (2011).